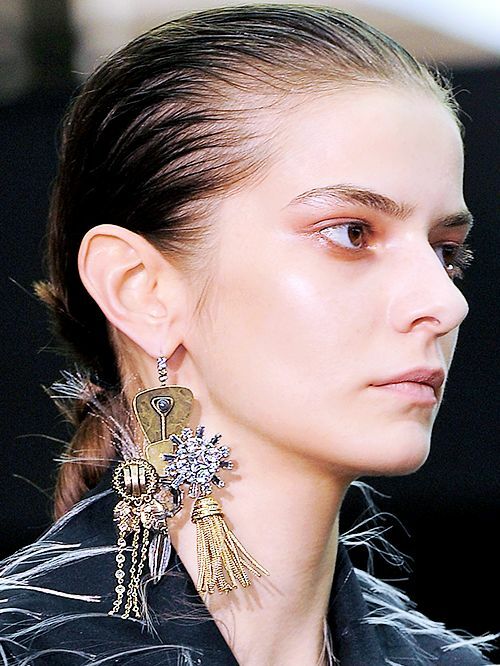 Earrings are quite possibly our favourite accessory—even though they seem like a small player as far as an outfit goes, they can actually transform an entire look, for better or for worse. To fall on the first half of that phrase, we’re looking towards our most beloved (and highly fashionable) celebrities like Kate Moss, Ashley Olsen, and Rihanna. Click through to see their stunning earrings, and shop our favourites at the end! The Boho jewellery look can be hard to pull off, but Ashley Olsen has it all figured, which, considering her track record in the style department, is not surprising at all. We love the way she pairs these southwestern earrings with sophisticated and refined pieces. Rihanna never fails to stir things up with her bold style and unexpected outfit combinations; she makes these classic pearl studs look unbelievably cool and edgy. Zoe Kravitz accessorizes with one of-a-kind pieces and mixes different trends, styles, and movements to create cohesive, artful aesthetics. Diane Kruger strikes the balance between sophistication and fun with this layered pearl earring. As always, Keira Knightley looks simply stunning with these cascading pink pendant earrings. We are definitely going to be recreating this colour palette with some dressy, ultra-feminine earrings (and sultry pout) in the near future. Since Sarah Jessica Parker taught us basically everything we know about fashion, we might as well keep taking notes on her secrets to accessory success. These classic studs are telling us that simplicity is key and we definitely agree. If charming, fresh, and whimsical all sound like words you’d like like to embody, then Emma Stone is your go-to girl. Hence, these amazing earrings. Kate Moss is such an iconic figure that her style has metonymic value—chic and sleek, these crystal pendant earrings are a sure way to polish off an outfit. This connoisseur of style rocks slightly costume-y, colourful earrings without looking over the top. Well done, Dianna Argon. With polished and understated style like Kate Bosworth’s, dramatic statement earrings are the perfect way to accessorize. Reese Witherspoon is known for her fun, cute personality and matching sense of style. These evening drop earrings give her a glamorous twist that we can definitely get used to. Sienna Miller is the master of casually sophisticated style. 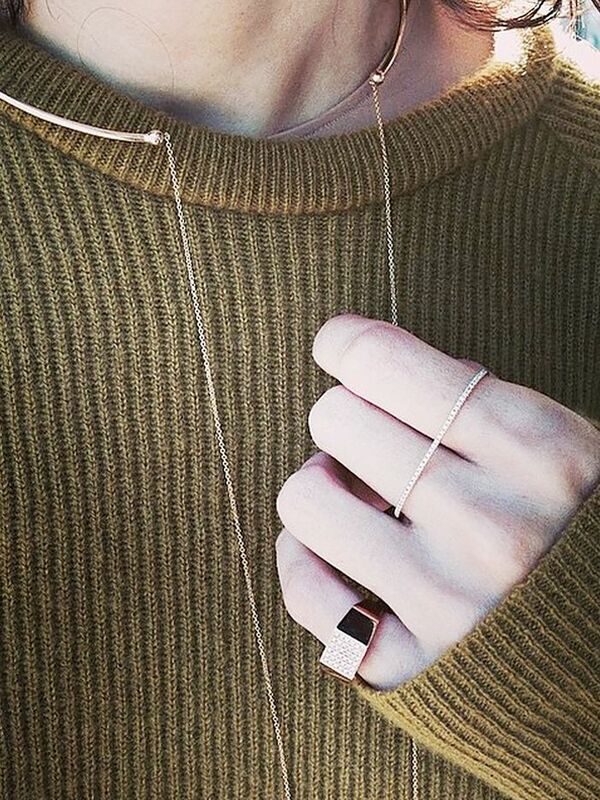 She layers organic, sculptural pendants with clean cut, sleek hoops to make that stunning ear of hers even more lovely. Even her jewellery remains true to her fun and quirky character. These ear crawlers keep things contemporary! Bohemian earrings with organic shapes like these are the perfect way to relax your look without having to ditch the accessories. Plus, we’re getting hot-art-teacher energy from these, which is always a good sign. The hanging chains on these earrings add a fun edge to the southwestern look. They’re also an easy way to bring colour into your aesthetic. Subtly is key when it comes to timeless earrings and these layered crustal studs definitely fit the bill. Clean-lined and sculptural, these earrings are anything but straight edge. They’ll give your look a fresh yet understated vibe. We can’t think of an occasion that they wouldn’t work for. These shark tooth earrings will make you feel feminine while simultaneously giving you that biker gang, don’t mess with me edge that we all secretly strive for. Elegance and modernity in the form of pendant earrings…yes, please! If you want to achieve Hollywood glamour without the drama, look no further. Pearls are known for being sweet, but the hook shape of these earrings adds an element of intrigue to mix things up. Rose gold is trending and we want in. 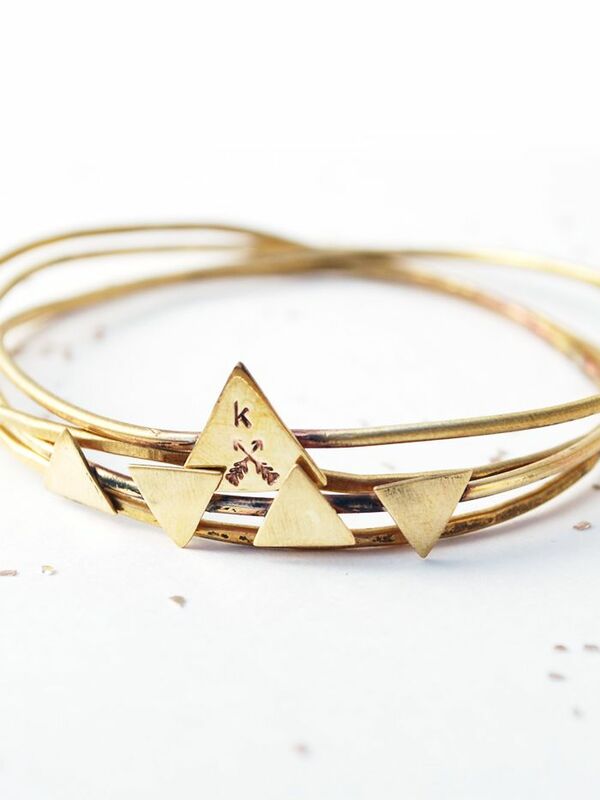 These studs will go with anything! Keep things interesting without coming on too strong with these arrow shaped earrings. These studs are small in size, but the black diamonds are bursting with a charm and brooding personality. We didn’t know earlobes could look so good until we stumbled upon these unique and timeless beauties. Psst... We're giving away a Celine bag. Enter now and good luck!